I am trying to learn how to reblog posts like I like, and I am afraid that I hit the send button too quickly. I realize that Passover is starting on Friday night, so naturally, I will not be making this any time soon. But, I love my bread machine and together with Kel’s pizza dough, after Passover I am looking to make both these wonderful recipes soon. Please check out Kel’s Kitchen. I love her blog! This is a very hectic time of year. We are preparing for Passover. It is a lot of work. Fortunately, Raizel is home from school this week. She has been an amazing helper! I don’t know what we would have done without her! In this state of in between, everything in the kitchen is more scattered than usual. My husband and Raizel have begun to clear out some of the cabinets for our Passover products. Hence, it might be difficult for me to do too much posting for the next week or so. As I was clearing out my freezer, I found some frozen pizza dough that I wanted to use. However, making pizza at home is a bit complicated for me. 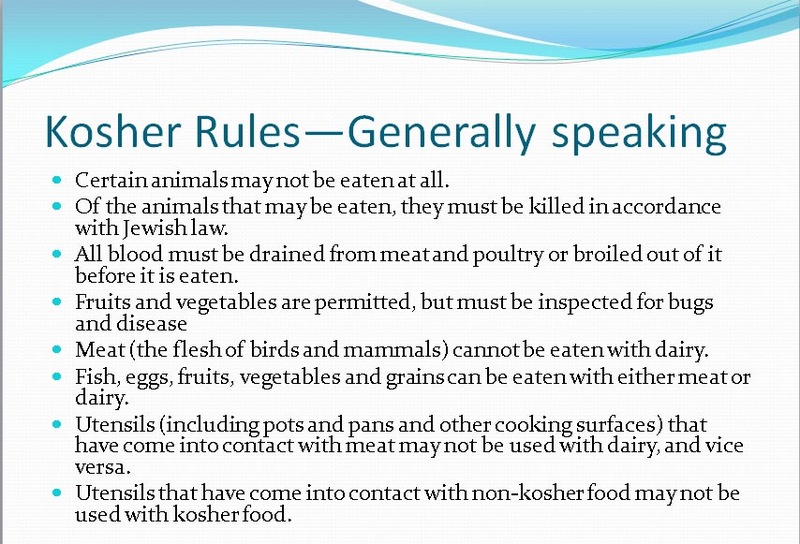 As observant Jews, we follow the Jewish dietary laws of keeping kosher. 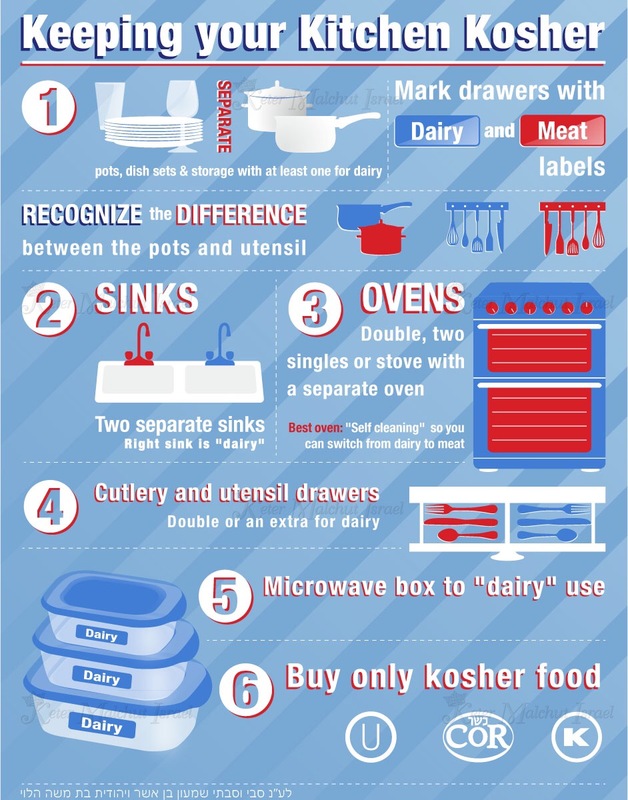 For those who may not be familiar, in a kosher kitchen, milk and meat dishes are cooked and prepared separately. 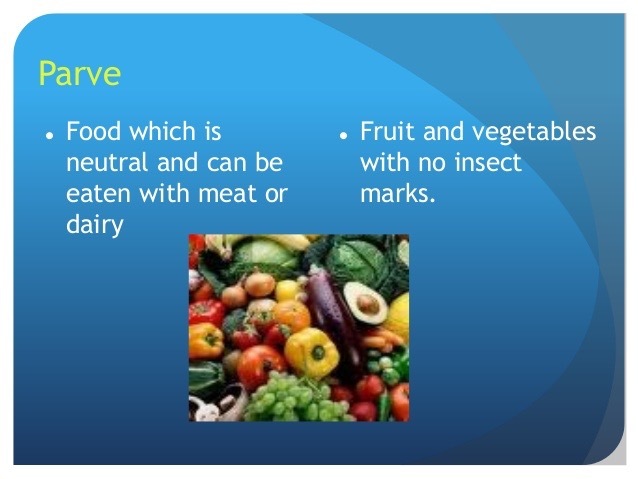 There is also a third food category, parve, which means neither meat nor dairy. This means that we have separate meat and milk cooking utensils, and we do not cook milk and meat in the oven at the same time, nor eat meat and milk together at the same time. This picture gives you an idea of the ins and outs of having a kosher kitchen. Some readers of this blog may have observed that I do not post recipes with dairy products. I rarely cook with dairy. I really only have about 2 dairy pots and only the barest of essential utensils for dairy food. In order to not cook milk and meat in the same oven together, many people have 2 ovens. It is possible to manage with only one oven, but it takes a bit more planning. I am fortunate to have 2 separate ovens: one is for meat and the other is parve. But, I do not have an oven for dairy. So, any dairy that we eat is usually cooked in the microwave. All of this is to explain why making this pizza was an accomplishment for me. 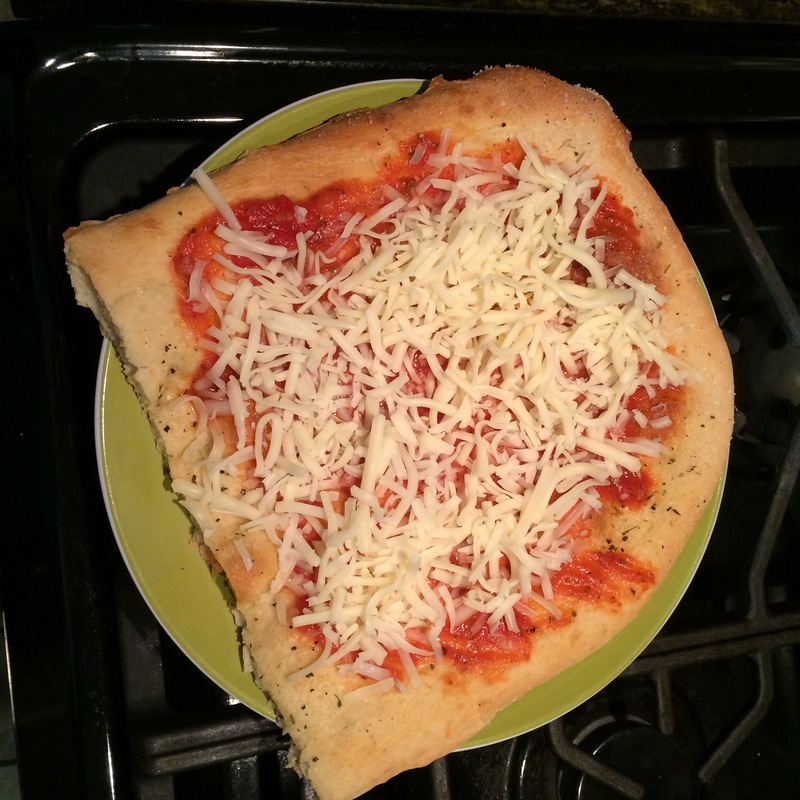 Creating this pizza took a little bit of unconventional ingenuity. I am very excited that I was able to come up with a way to make it! 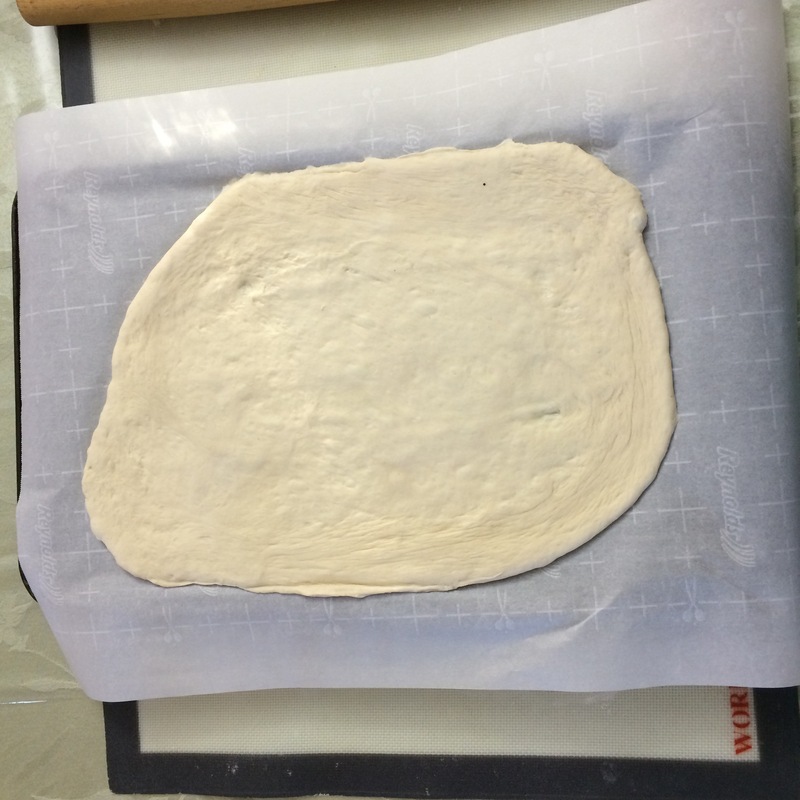 Roll dough onto pan to desired thickness. Add olive oil and sprinkle spices on top. Bake in 450* oven until lightly browned. Add tomato sauce over prepared pizza dough and then add grated cheese. Microwave for 2 minutes. 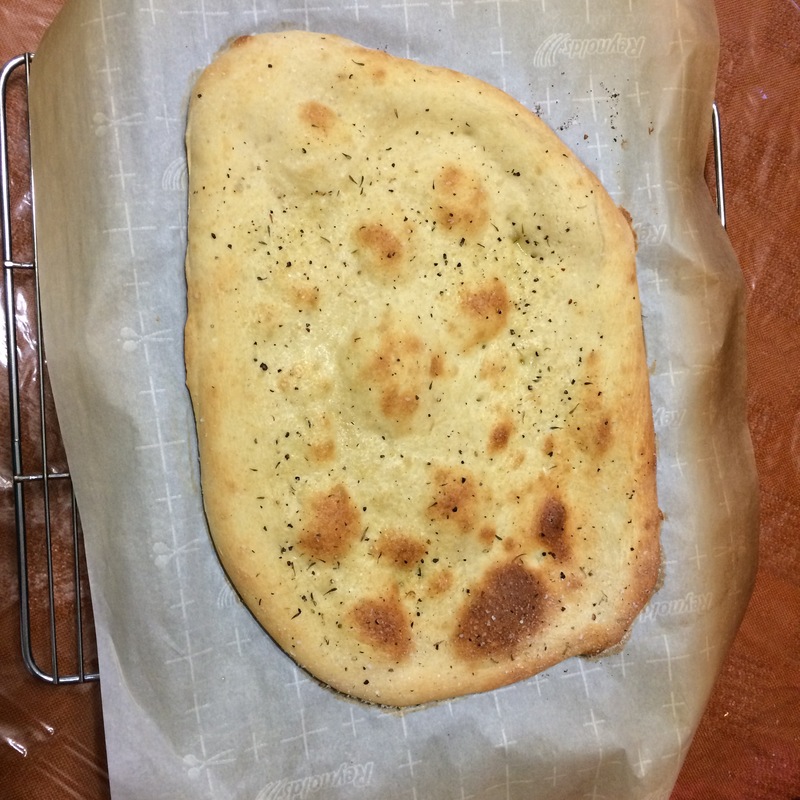 Cooked pizza dough. Love the color! 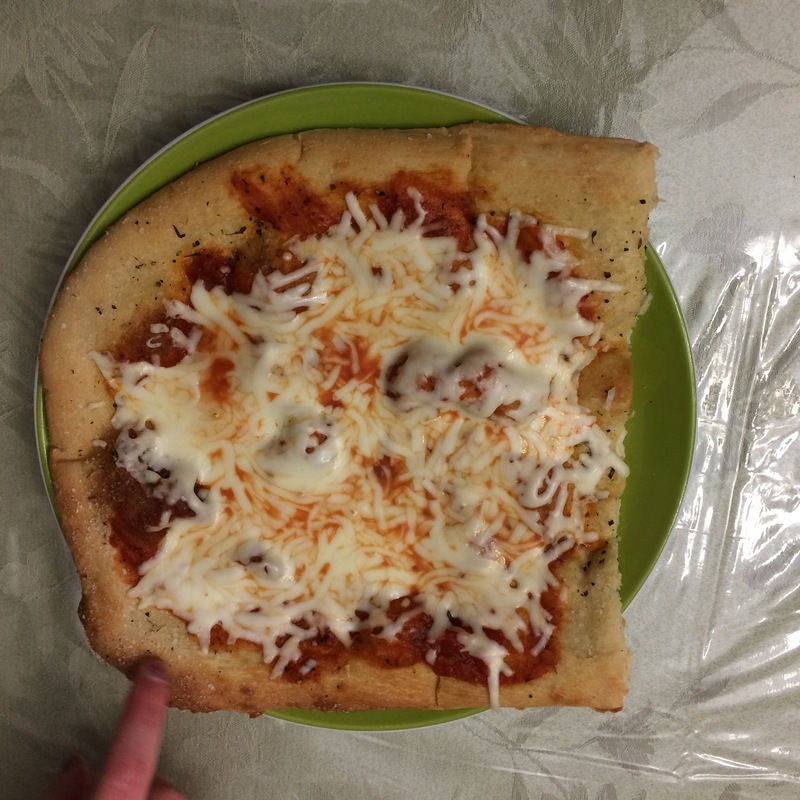 Cooked pizza dough with sauce and cheese. Voila! Nice fresh hot pizza! The girls loved it, with the cheese and without the cheese. It is a good thing that I took pictures, because there is nothing left! I make this recipe often. For a long time, Raizel was not able to eat wheat. Place ingredients in bread machine in the order for your particular model. For mine, I put liquids in first and then the dry ingredients. I set it to the dough cycle and then braid the dough into loaves. Brush the loaves with an egg. Bake in 350*F or 375*F until done. I wanted share the out come of the handmade versus bread machine made challah. I am happy to say that my husband could not tell the difference between the two. The machine made dough had more time to rise, so it was slightly fluffier. But, when I asked him which one he thought was from the machine or by hand, he couldn’t tell which was which. Good sign! When pressed for time, I have in the past put the loaves in a cold oven. Then I turn the oven on and as the oven comes to temperature, the bread rises more quickly. So, it depends on your particular circumstances whether it is easier to make the dough in a bread machine on a timer, or, to make it by hand. My personal “secret” to making challah is to pray while I kneed and then braid the dough into loaves. I am convinced that food tastes better when we elevate the mundane and infuse our actions with sanctity. 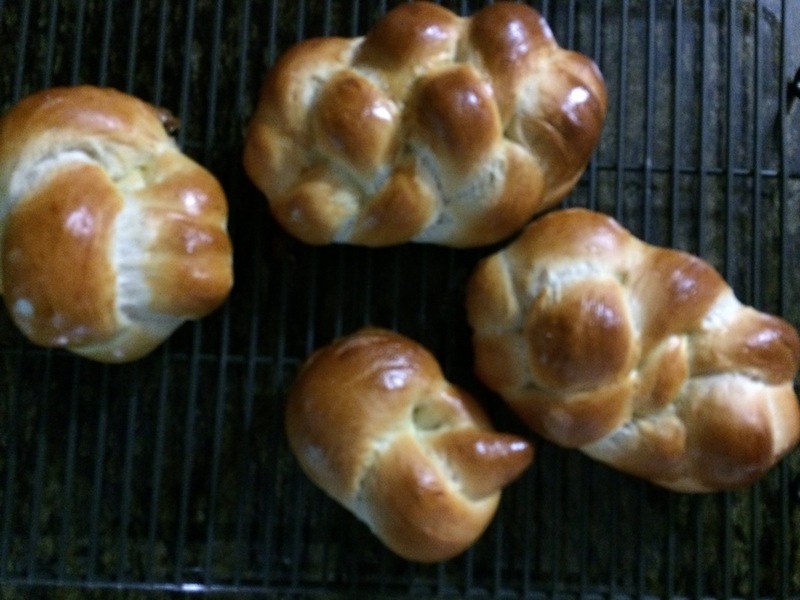 I decided to investigate which way of making challah is the easiest for someone who is time challenged. Usually, I make the dough in my bread machine and set the timer to be done when I get home from work. 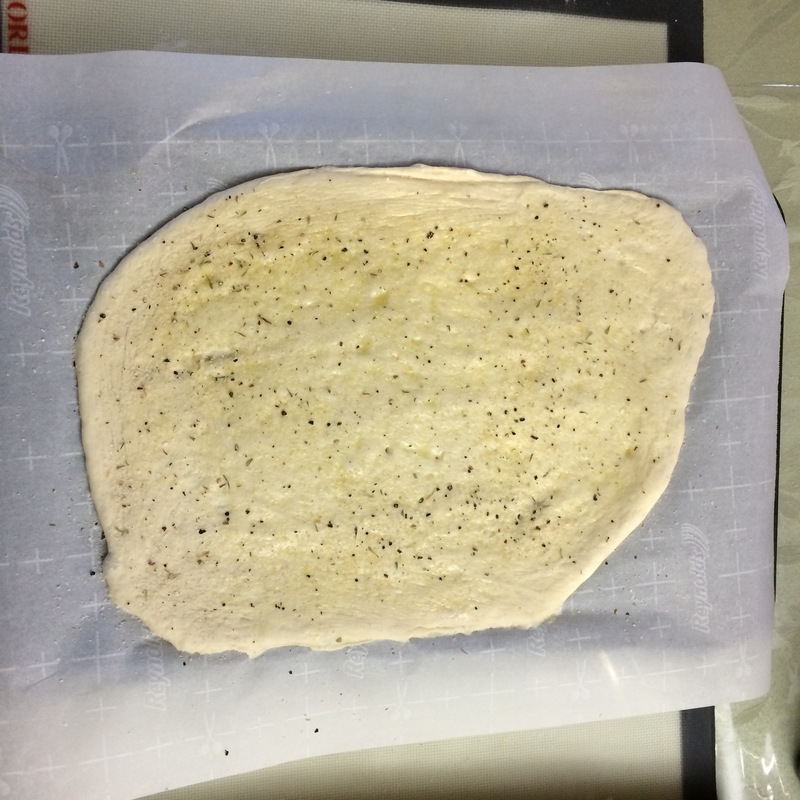 After that, I braid the dough, let it rise and bake it in a 425*F oven. When I want to make more than one batch, I use my food processor, as it is easy to make several batches quickly. Aidel, however, said that cleaning up is easier if you make the dough by hand. So, today I made challah in the bread machine and by hand. It is too soon to tell if there is any difference in taste. And, I did not find it easier to wash the bowl when making by hand over the loaf pan in the bread machine. It is definitely easier to clean either of them compared to the food processor. So, I think I like my bread machine. For me, it is the fastest and easiest method for small batches of bread, assuming I can predict my timing and I don’t hit any traffic on the way home. This is our favorite challah recipe. I make it every week. It works in the bread machine or in the food processor. Depending on the time of year, I often make the dough in the bread machine. I put the ingredients in the bread machine before I go to work Friday morning. Then, I set the timer so that the dough will be done when I get home from work. The first thing I do when I walk in the door is braid the dough. I let the loaves rise and bake them just before Shabbat. It is so great to have fresh baked challah for Shabbat! For the food processor: Mix yeast, 1 t sugar into water and let it bubble and rise. Mix flour, sugar, oil and salt. 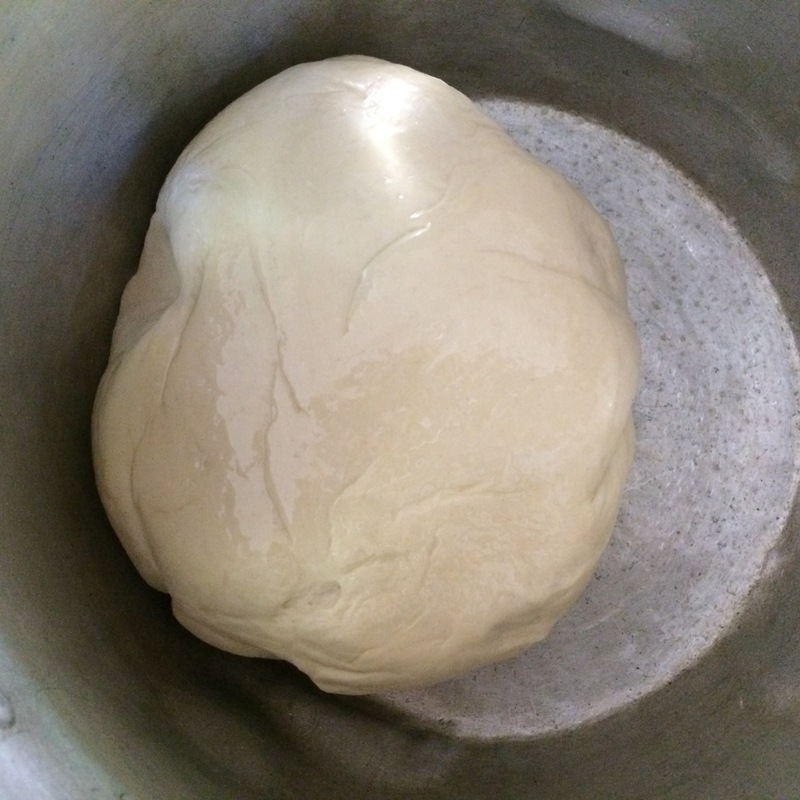 Add yeast and water and then mix until it forms a smooth dough. Let rise in an oiled bowl and shape into loaves. I tend to make up to 8 small loaves, unless we are having guests. Brush the loaves with an egg and let rise again. Place in bread machine according to the instructions. Bake in a 425*F oven until done. The trick to knowing if the bread is done is to tap the bottom of the loaves and listen if it sounds hollow. On days when I am rushed, I will sometimes put the bread in a cold oven and let it rise as the oven comes to the correct temperature. It works! I line the baking pans with parchment paper, to make the clean up easier. In the past, I have sometimes sprinkled cinnamon on the pan. It gives a hint of sweetness to the challah, and makes the whole house smell heavenly! The smell of challah is the scent of Shabbat! 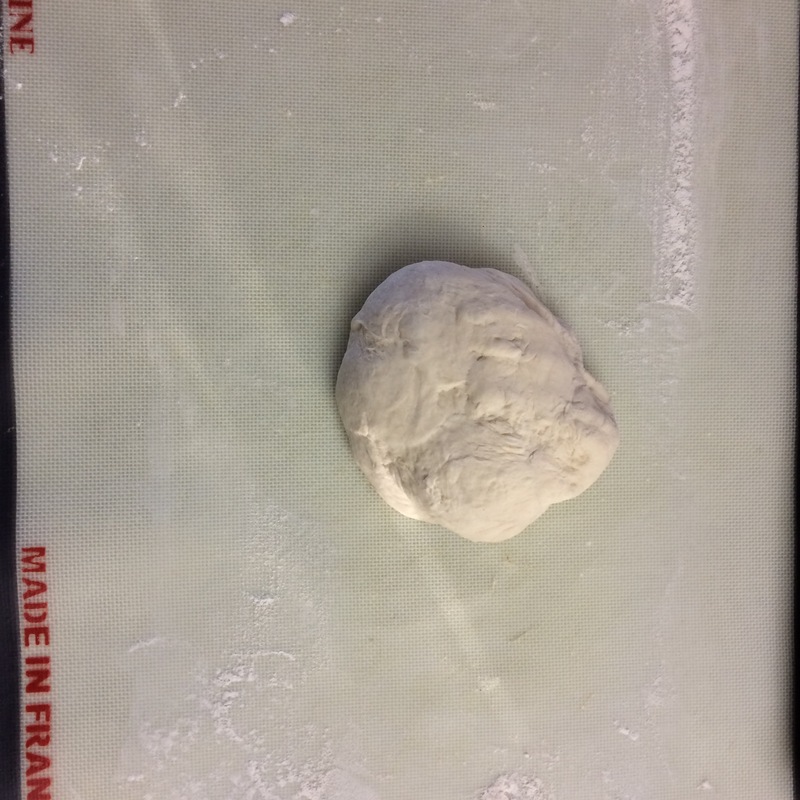 This is the dough, ready to rise.